This 20 credit masters-level module will enable you to explore the methodology and methods relevant to the development of a research project. You'll learn how to define and refine a research question, select and appraise methodology, address ethical considerations, and select and appraise data collection and analysis techniques with the aim of formulating your own research proposal by the end of the module. formulate and critically discuss a research proposal in line with the above outcomes. The assessment for this module is a 4000-word research proposal inclusive of a literature review, methodology, aim and objectives, method, anticipated results and an additional considerations section relevant to the proposed research. Delivery one: 20 and 21 September and 10, 11 and 12 October 2018. Delivery two: 21 and 22 January and 4, 5 and 6 February 2019. The module is a core module for all pathways of the MSc Advanced Professional Practice programme within the School of Health Professions and the MClinRes Clinical Research programme. It is also possible to undertake this module via distance learning. Module content is the same as the taught version but will be delivered by webinars, interactive teaching resources, Skype tutorials and other digital learning tools. For further information on the distance learning module please contact the Professional Development Unit or module lead. 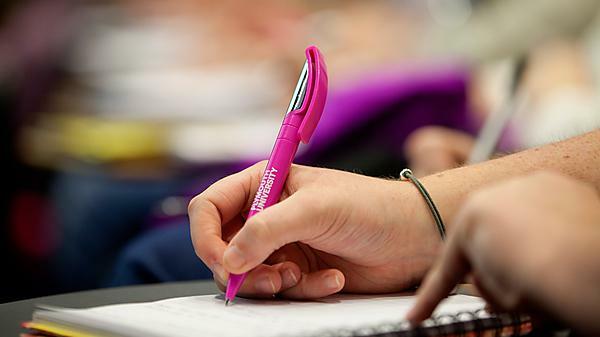 you must be a health or social care professional enrolled on the MSc Advanced Professional Practice (Health and Social Care Professions) programme or one of the pathways within the School of Health Professions. The module lead is Lisa Bunn.